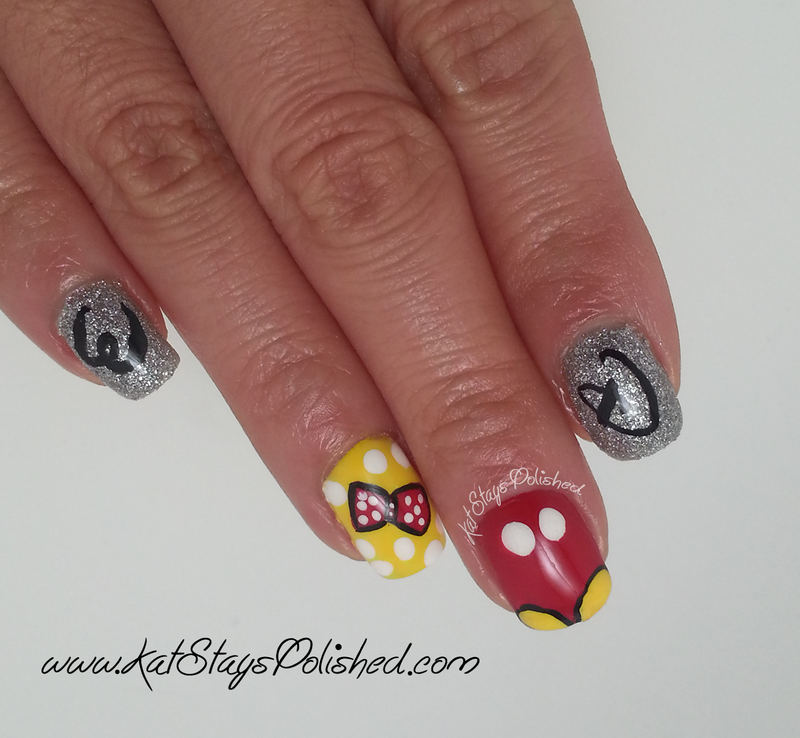 Disney World Inspired Nail Art with Kat from Kat Stays Polished! Hello awesome BeautyJudy readers!!! Today I am excited to share with you a story and a manicure. First of all, I am SO happy to have met Judy because she is one the nicest people ever. When she asked me to do a guest post her for while she was honeymooning away, I was thrilled! It is SUCH a huge honor to be asked to do a guest post for someone. Okay, so let’s get into my story for you. I live in Jacksonville, FL, which is 2 hours northeast of Orlando…which is where Disney World is. Well, a certain Mrs. is honeymooning there and well, I go there a lot. Like, a LOT! 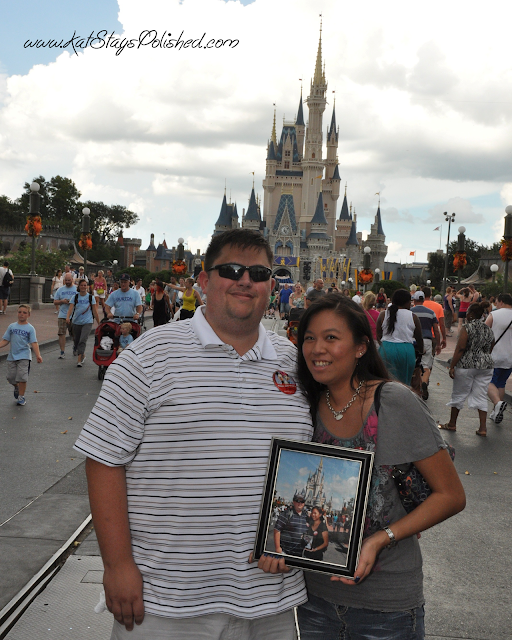 When my husband and I moved to FL 3 years ago, we were so happy to find out how close we were to Disney. I had gone a lot as a kid and my husband had been a few times as well. We immediately bought annual passes and well…the rest is history. On our first anniversary, my husband and I went to Disney. Now, you might be thinking, “That’s not special! Especially when you’ve been there 25 times in the past year!” HA! We did EVERYTHING that we had never done before when we went like backstage tours and up-close safaris! We had SUCH a good time and it was completely worth it. Might I also mention that we are doing a thing? We plan on taking an anniversary picture every year at Disney. As a reference, here is our most recent picture – our 2nd anniversary! Do you see? How many years do you think we can keep doing this? 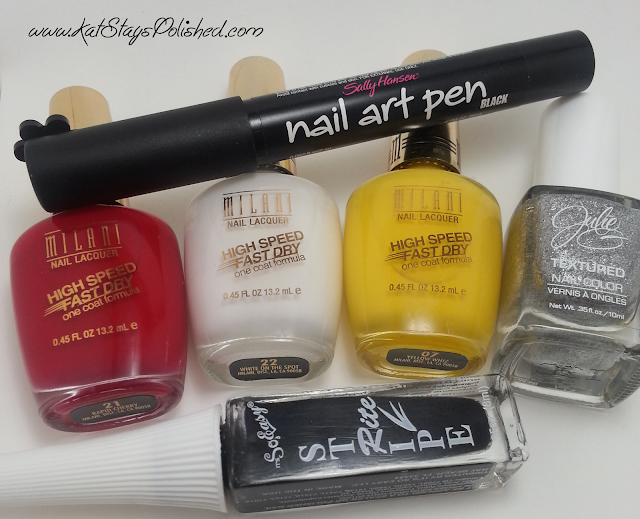 Anyway, on to the mani! 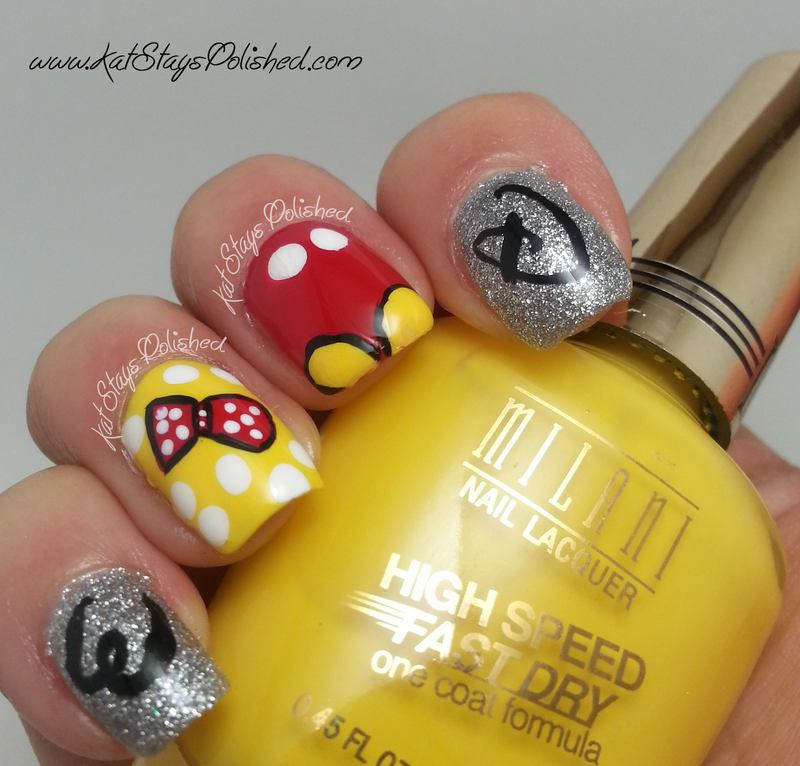 Like I said, Disney seemed like the most relevant thing here so I did a cute take on a Mickey mani! I’m most proud of my pointer finger though. You’ll see why when you get to the pics! 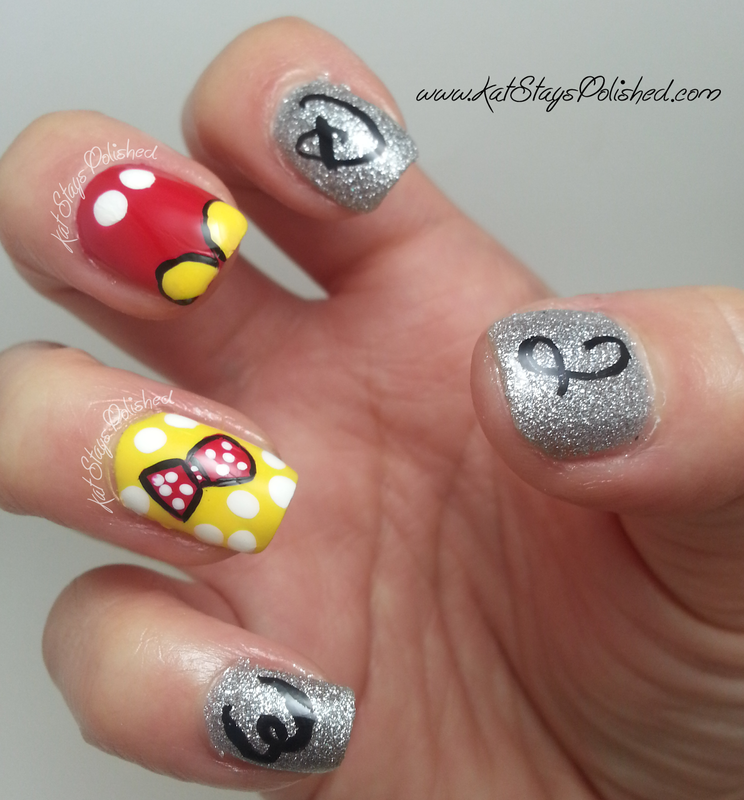 Here’s my mani!!! 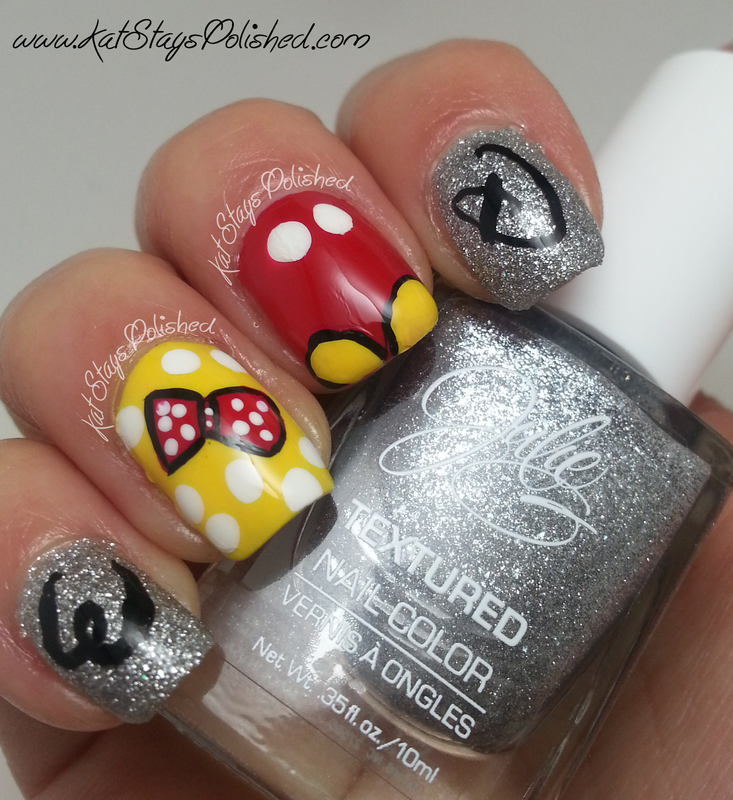 Minnie-inspired ring finger, Mickey-inspired middle finger, and the infamous W & D on either side! I couldn’t leave out Judy — there is a Disney lettering inspired J on my thumb! Congrats Judy!!!! I wish you and your new hubby the BEST life together! Hope you’re enjoying Disney as much as I always do! 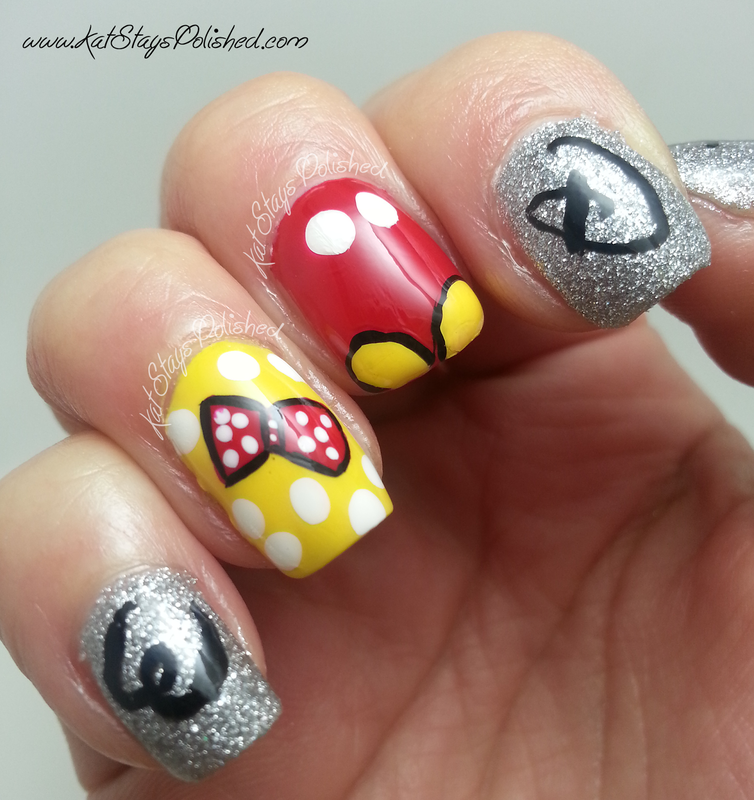 So I hope you enjoyed my little story and my mani! Thank you to Judy for letting me post on her amazing blog! If you did like this, please go read my blog Kat Stays Polished and follow me on Facebook! Congrats again, Judy and we’ll see you when you get back! Disclaimer: Kat received the JulieG nail polish to review from the PR firm/Manufacturer. Please visit my Disclosure tab for more information on how BeautyJudy.com keeps it real!